Is it time to send your skin to Rehab? This clay-based masque infuses oxygen to the surface of the skin with a gradual foaming, bubbling sensation, creating a micro massage that deeply cleanses the skin of impurities and toxins. 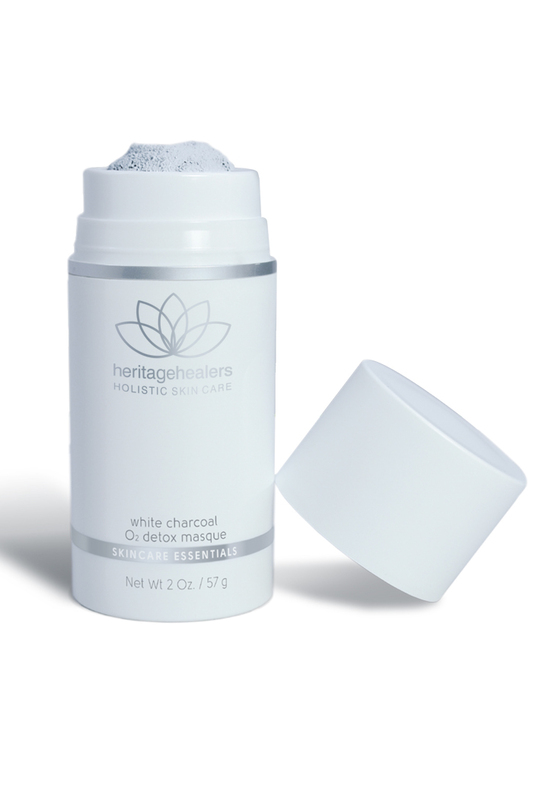 Activated white birch charcoal and natural clays help to remove daily urban pollution, while a unique tri-herbal complex provides significant skin brightening. Suitable for all skin types, this detoxifying masque leaves the skin soft and smooth, rejuvenated and radiant. INGREDIENTS: Purified Water (Aqua), Sodium Cocoyl Glycinate, Methyl Perfluorobutyl Ether, Titanium Dioxide, Bentonite, Glycerin, Cetearyl Alcohol, Palmitic Acid, Stearic Acid, Ceteareth-20, Charcoal Powder, Kaolin, Cocamidopropyl Betaine, Polythydroxystearic Acid, Hydroxyethyl Acrylate/Sodium Acryloyldimethyl Taurate Copolymer, Xanthan Gum, Squalane, Ethylhexyl Isononanoate, Isonyl Isononanoate, Zinc Oxide, Betula Alba Juice, Saxifraga Sarmentosa Extract, Vitis Vinifera (Grape) Fruit Extract, Olea Europaea (Olive) Leaf Extract, Ocimum Basilicum (Basil) Flower/Leaf Extract, Morus Bombycis Root Extract, Scutellaria Baicalensis Root Extract, Peat Extract, Helianthus Annuus (Sunflower) Seed Oil, Mentha Piperita (Peppermint) Oil, Citrus Aurantium Bergamia (Bergamot) Fruit Oil, Hydrolyzed Casein, Rosmarinus Officinalis (Rosemary) Leaf Oil, Ocimum Basilicum (Basil) Oil, Butylene Glycol, Tocopheryl Acetate, Ceratonia Siliqua Gum, Ethylhexylgycerin, Disodium EDTA, Phenoxyethanol, Potassium Sorbate. IMPORTANT: to use simply remove lid and press top plunger a few times to release the product – do NOT remove centre plug.